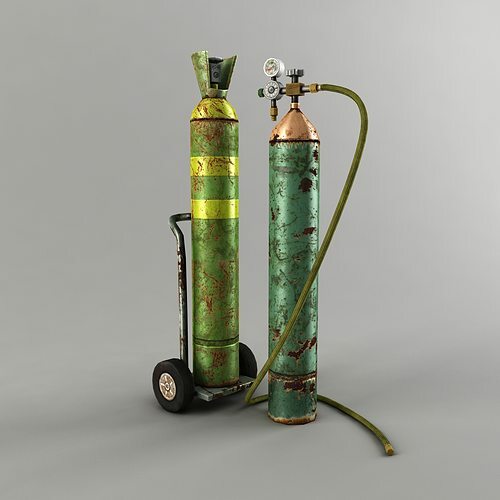 This is a 3D model Oxygen Cylinder low poly ready to be used in games or real time rendering. Available in versions of 3ds Max 2010, 2011, 2012 or newer. Optimized. It does not contain triangles that you don't need. Normal map was baked from a high poly model, but it contains and the details of textures. Note: For Specular at OBJ objects you need to use custom MTL file generator.